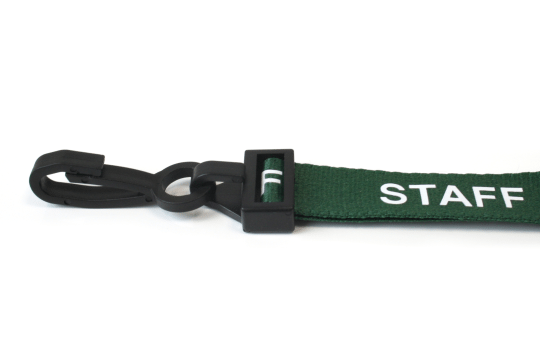 Sold in packs of 100, our green “staff” printed lanyards offer the perfect solution for displaying staff ID and access control cards to ensure staff members are easily identifiable. 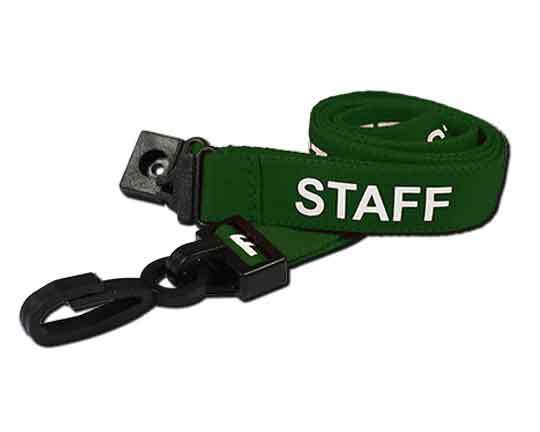 Green Staff Lanyards W/ Plastic ClipMake sure your staff are distinguishable with our simple and robust staff lanyards. Our lanyards are made from high-quality polyester and guaranteed to last. 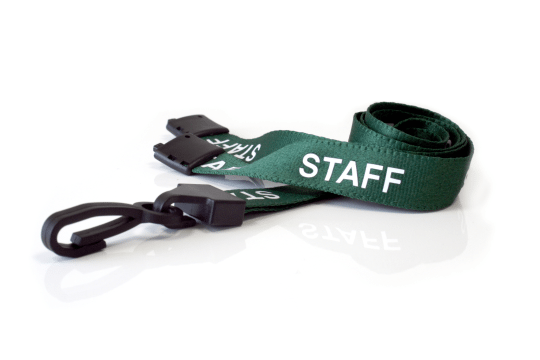 Staff lanyards are a great way to manage staff Identification. Lanyards ensure that an employees ID is clearly detectable and readable. A plastic J Clip makes them simple to attach to all types of cardholders, from open-faced to vinyl. With safety in the workplace an ever growing concern, our lanyards come with a safety breakaway, meaning that should the breakaway mechanism come under a certain degree of pressure e.g. caught in a machine, the clasp will simply break away and free the neck from the lanyard.